If I just had some good leads, I know I could [insert action]. How many times have you thought some variation of this statement? Having a bunch of email subscribers, website members, or social media followers makes everything easier, but the trickiest part is actually collecting these leads. There’s no singular prescription for what a successful lead generation strategy looks like, but there are some similar components that successful brands use to achieve positive results. Content marketing manager Ryan Lynch believes there are four “L’s” to a high-returning lead generation strategy – and we think he’s onto something. If you think about your company as a growing tree with a healthy trunk, then Lynch’s four L’s are the roots feeding the trunk. They are the vessels through which water – or customers – find their way in. The four “roots” he identifies are lead capture, landing page conversion techniques, lead scoring, and lead magnets. The best way to seal up these holes is with lead magnets, which are nothing more than free tools that provide value for visitors in return for their contact information and participation. Going along with our analogy of a tree, lead magnets are like bird feeders hanging from a branch. “Bird feeders are often the first thing people use to entice feathered creatures onto their property, but the type of feeder you use and where you place it makes a big impact on which birds will use it,” says Tammy Sons of Garden Delights. The classic lead magnet is the email newsletter. While not the most exciting lead magnet, a newsletter is comfortable and familiar to customers. Giving up an email address isn’t seen as extremely intrusive and is simple enough. The problem is that newsletters won’t move everyone to action. People who are only casually interested in your brand won’t want to fill up their inbox with another weekly email. If you want to take a step up from the email, you can try offering a checklist. A checklist is easy because you only have to create it once and can then use it over and over again. It’s also seen as tangible and valuable by customers. Here’s an example of a checklist that’s worked extremely well for one entrepreneur. If you really want to entice people, you can kick things into high gear and offer an eBook. Who has time to write an eBook, you may ask? Well, even if you don’t, you can always hire someone to write a short one for you. Decent writing will only cost you a few hundred dollars, which is well worth it if you can generate some leads. In B2B industries, white papers work well. White papers are seen as authoritative and reliable. They often contain research, statistics, and proprietary information. Not only do you generate leads with white papers, but you can also position your brand as a thought leader in your niche. 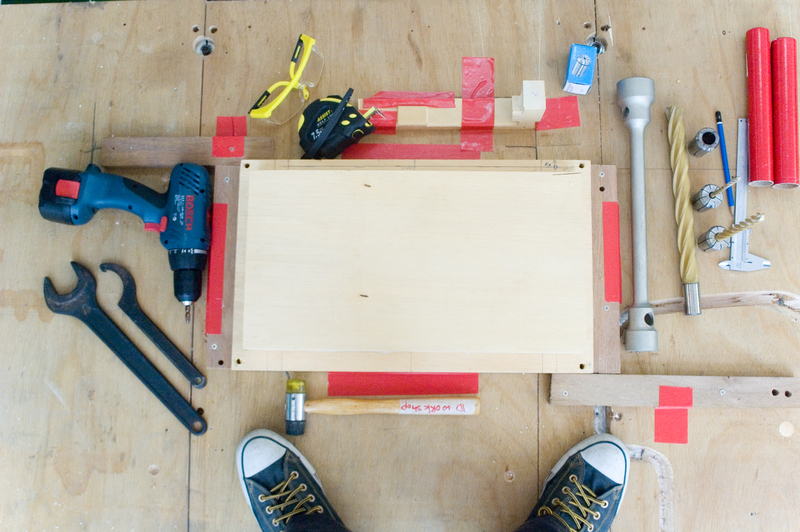 The word “toolkit” creates very concrete imagery in your visitors’ minds. As opposed to just offering a cheat sheet or checklist, a toolkit sounds like you’re offering multiple products in a concise package. It’s a great way to get those fringe leads who don’t see enough value in a simple newsletter or document. People love hands-on learning. That’s why YouTube instructional videos are so well received. If you want to collect leads and push them through the conversion funnel at the same time, give webinars a try. 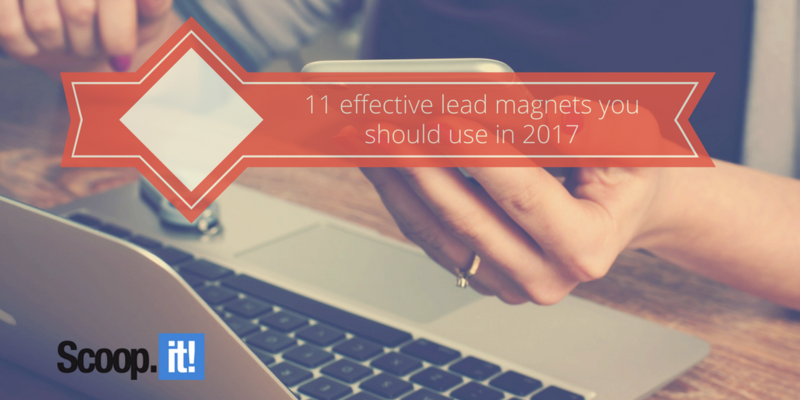 Interactive tools are really popular lead magnets right now. For service-based companies, calculators are extremely effective options. An example of a calculator would be this retirement calculator from Bankrate. By requiring a user to enter an email to access the calculator, you can quickly grow your list of leads. Your lead magnets don’t have to be virtual. If you have the resources, you can provide a physical gift in return for a lead’s information. Mailing a book or pamphlet is the best way to go, but free product samples are also an option. For service and subscription-based companies, one free month (or week) is super enticing. The biggest benefit is that you can collect a lot of information and even put credit card information on file (requiring the customer to cancel at the end of the period). People love to feel like they’re getting something that others don’t have access to. This is why presenting content under the headline of “members only access” can be appealing to your visitors. When it comes to lead magnets, diversity is key. You don’t want to put all of your eggs in one basket or you could end up missing out on other opportunities to collect leads. Spread yourself out and target people in different ways. Everyone responds differently and you’ll enjoy better results if you avoid zooming in too much on one specific strategy.